My guy Khingz‘ LP, “From Slaveships to Spaceships” is just on the tip of releasing, so i hope to see yall come out and support him and this night of good loca Hip Hop. 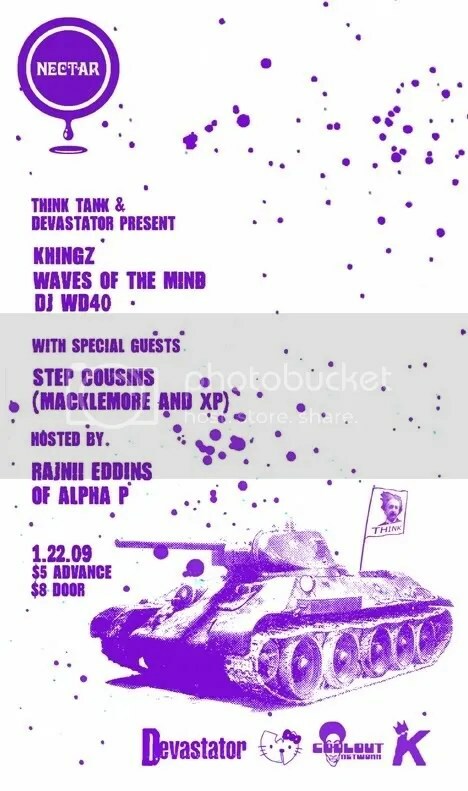 Waves of The Mind will be in the house along with Step Cousins (Macklemore & XP). Also, DJ WD4D will be on the 1’s and 2’s as well with the show hosted by Rajnii Eddins of Alpha P. Oh yea, ima rock a couple songs with my dude as well. YEE! Please come out, its gonna be one helluva show, and you know Khingz is gonna murder the stage if you’ve ever seen him live.